What is the Howard Score? 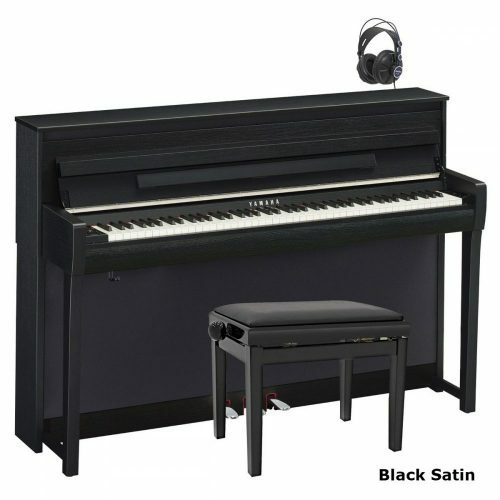 It is the industry standard rating system for digital pianos. Every digital piano is evaluated for authenticity on the 13 aspects of key touch and 15 aspects of sound. Each aspect is calculated and multiplied by an importance factor, ending up with an accurate overall authenticity score out of 100. If you’re deliberating between similar pianos from different makes then you no longer need to spend hours traipsing round different shops to try them out, then trying to remember how each one sounded or how the key touch felt… all you need to do is refer to the Howard Score. 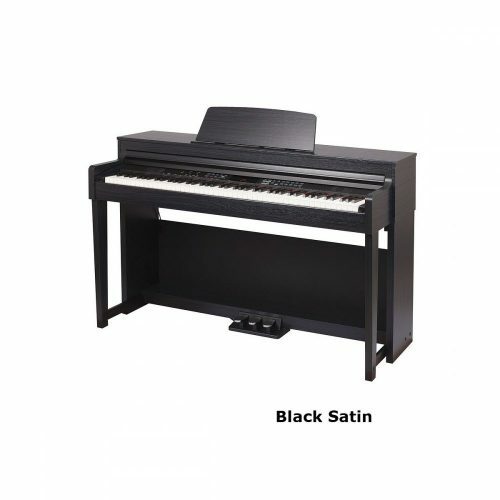 Most piano shops stock only one or two leading piano brands. So it’s virtually impossible to find somewhere that displays lots of different pianos to try out and compare. Now all you need to do is check the Howard Score for each piano! 2) Note decay (i) Length of note decay at p, mf, ff – test bass, centre, treble and top (ii) How natural is note decay? – Rate sound natural or synthetic on a sliding scale at p, mf, ff – test bass, centre, treble and top (iii) How good is the looping disguised? All contents Copyright © 2018 Graham Howard. All rights reserved. The Howard Score list by rank, list by brand, list by category, and all content on this page is registered with the UK Copyright Service, registration number 284660139. This information may be freely distributed in its entirety provided that this copyright notice is not removed. But, no part of it may be published on the internet, or offline, nor copied, reproduced, or altered, without the prior written permission of Graham Howard. Needed help to decipher which digital piano would best suit my needs. Used the Howard Score, kindly sent by Graham Howard of UK pianos, which enabled me to find the best instrument I could afford. It is concise and informative. His website is full of useful information and reviews which I found most helpful. Your chart gives me the opportunity to evaluate the sound quality. And this is well worth while. As a complete novice I really appreciate it. Many thanks – this is really good stuff. How does the Yamaha CGP 1000 fit in? One problem with Yamaha in particular is trying to compare the CLP and CVP and hybrid ranges, and you have addressed this quite well. Many thanks for your efforts in informing us all, and I must come over and visit your shop. I am about to choose a digital piano for myself as have got all necessary information from this and The Digital Piano Bible. Read them carefully. Probably you will never and nowhere find anything similar to it for free and what is more important – in clear and understandable way. It helped me a lot to understand basic parameters and specifications of electronic pianos, to thing about what is important for me and what is not. It helped me to narrow the choice so that finally I had to personally test about 3 models only. The site will not choose for you. You must always make final decision. Sometimes it is even different from UKpianos recommendations. Choosing piano is very personal. However, at least you make your decision very well informed. I can fully recommend this site. Thanks for your scoring of pianos. I am sure some will be upset that their favourite piano is not listed or poorly rated, and I hasten to add that I am not in that camp. Coupled with the price, the Howard Scoring helped me whittle down my choices to a manageable number. I then checked the sound of each instrument on Youtube. A useful tool in choosing a piano online. Thank you Howard for spending the time and effort to put this list together. I have been searching for a good second hand Clavinova for around 6 months but not being a player myself (piano is for my 3 kids) I was totally bamboozled by all of the technical jargon I kept coming across. I found Howard Piano Score on line whilst searching for advice. A couple of clicks and e-mails after I first found the site I found myself reading a buyer’s guide which has helped me so much to better understand exactly what I want and need. Saved myself from buying what would have been a really poor choice of piano because I had been taken in by the seller’s jargon. Highly recommended reading for anyone looking to buy a piano (and not wanting to pay a fortune for something which doesn’t meet your needs). Graham’s website provides masses of helpful information to guide you through the minefield of choosing a digital piano. I asked for it more out of interest, since I bought last Christmas the CVP 701. Choices here in Brasil are a little bit limited, but thanks a lot for your Piano guide. It helped a lot at that time!!! Personally I played roughly 12 years piano on a traditional piano (Schimmel) but due to business issues I stopped for several years and returned playing this year on the digital. I am quite happy with the instrument, though the speakers could be a little bit better. With my headphones, even though in no way High End, I get a much better sound. Once again thank you very much for the guide and the score. I received the score and found it very useful, thank you very much. Thank you for sending me your score. It is indeed very useful in helping me in understanding different levels of quality in digital pianos. 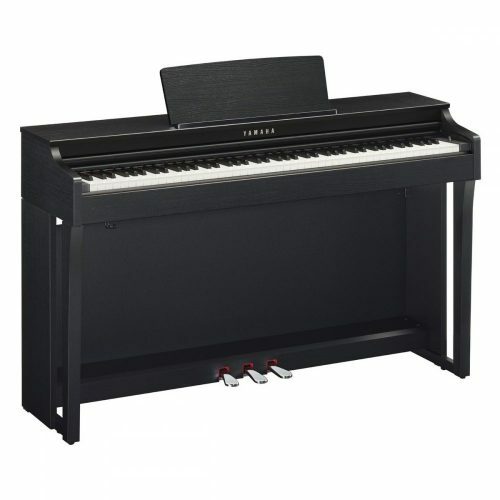 Your score, together with available info about piano prices, have really given a useful info in deciding my choice so that for a certain range of price I can get the best digital piano. The Howard Score is invaluable when trying to make a decision about which digital piano is the best one for your circumstances. All the hard work has been done, and it allows you to pick two or three candidate pianos based on price, touch, etc., which you can then test out (and you do have to test them out, so that you are comfortable with the choices you have made). For my price-range and general requirements, I used the Howard Score to short-list two pianos, a Roland and a Yamaha, and I finally ended up buying the Yamaha, mainly because the two were so closely alike that it finally came down to price, and the Yamaha was about £400 cheaper. Graham Howard is to be commended for all the work he has done with the Score, along with his Digital Piano Bible, which are both regularly updated. Thanks again for your awesome impressing job with the guide! Thanks a lot for your amazing rating and guide it is so user friendly and allows to make a well balanced decision. Thank you for the Howard Score information which has been really valuable when considering a digital piano. The ebook has been brilliant too in helping to get to grips with the various features and jargon used by the various manufacturers. Very good. A lot of information in ONE place! As I’m going to buy a digital piano, I found all the information very useful. The rating system is fast to read and easy to understand. Thanks a lot for the guide, it was really useful. And you were so right about Yamaha NU1 being so much better than Kawai CS9. Thank you for providing the comparative list of digital pianos to begin with, never mind radically updating it with transient information. It is better to look up prices at the time. If you put them into the document, they will be be obsolete in six months anyway. And it really does not matter if they are separated by brand. That would defeat the purpose of the comparison. If they were separate, the mind would have to judge the comparison by numbers alone, and we jelly brains (as opposed to the rock brains of computers) are not so good at that. The list is fine as it is. I do wish the Kawai MP8 and MP8 II were there. Does the list only include pianos currently being manufactured? It think that is too restrictive, considering I bought mine as a store demo, and many are being traded second hand. I await your scoring of the MP6 and MP10. I can tell you’ve and your team have put a lot of effort into this system, and I would like to say that it’s a really big help to anyone considering getting a new keyboard. Great work! and was pleased to see my cvp 709 scored quite highly. I found the Howard score on choosing a digital keyboard piano very helpful indeed. Thanks to the way he has set out the different models available, I got the keyboard that suited my playing and budget the best. Graham Howard of UK Pianos is an outstanding fellow who puts in a lot of work just so that you can choose the right piano and not get burned. Without his advice I’d be playing on a regret right now. I am so thankful for his work and dedication and it is my hope that even though I am in the USA that I would purchase a DP from UK Pianos if they would ship it to me. I am choosing a DP based on Graham Howard’s “Howard Score”. It has been the most useful and helpful reference guide for comparison. Dear Graham for all your useful information and attachments. I’ve received it. ‘Only just thought of possibly buying a digital piano, so clueless to start with. Therefore, the Howard Score is hugely helpful. It makes me aware of the big range of pianos out there and focuses on the two issues I felt most important, touch and quality of sound. Also it helps decide a price range and shows that more expensive doesn’t always mean the best. I’m now starting to look at digital pianos in the flesh and the Howard Score is very helpful in narrowing the field to make a decision on what’s best for me. Thanks Howard Score: I’m happy to say 5 out of 5 for a piece of very helpful, and free, advice. Howard’s Score changes pre-conceived ideas and revealed an unexpected “Best Buy”, that made me investigate a brand further, check it out at the Enfield shop, and make a purchase that I think was much better informed. What might be good is to put the list price of each piano against it. I checked the Yamaha N3 and at over £13k I’m not surprised it top scores, and I’m sure that adding the price would show that in the main you get what you pay for.  I have a CLP635 and am happy with it although I have become aware of its (and my!!) limitations, but then I’m not prepared to pay the extra money to change it for something better. I didn’t put the price because this is always changing. And I wanted the Howard Score to be up-to-date. The score will never change for those particular models.